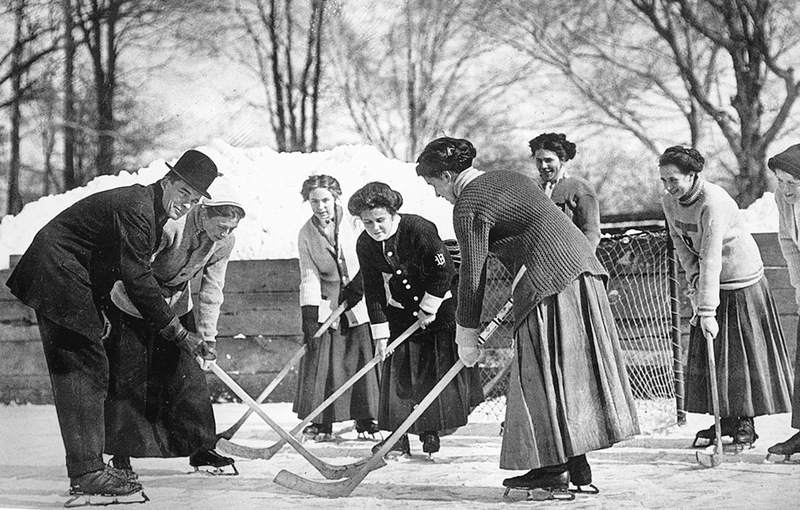 Sticks On The Ice: The University of Toronto’s Varsity Ladies’ Hockey Team lines up in the winter of 1910 on the rink at Annesley Hall, near the intersection of Charles Street West and Queen’s Park. Not recorded is the name of the man in the hat — a coach, no doubt. 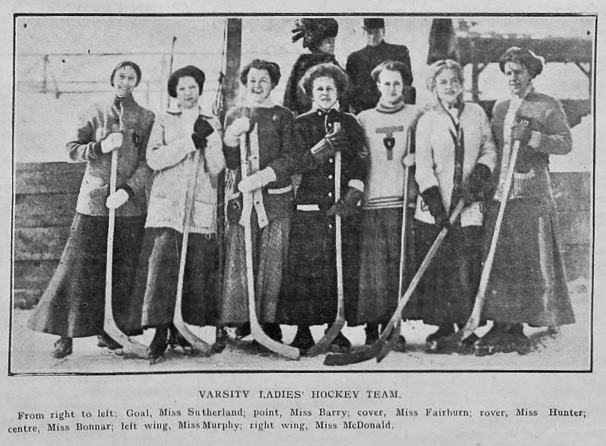 The original captioning identifies the players as (from left to right) Miss McDonald, Miss Barry, Miss Hunter, Miss Bonnar, Miss Sutherland, Miss Fairburn, and Miss Murphy. Minnie Louise Barry we can more fully name — the photograph belongs to an album of hers dating to her undergraduate years as an arts student at the U of T’s University College. Some further quarrying tells us that Barry played point, one of the two defensive positions in the old seven-player system, alongside Miss Fairburn at cover-point. 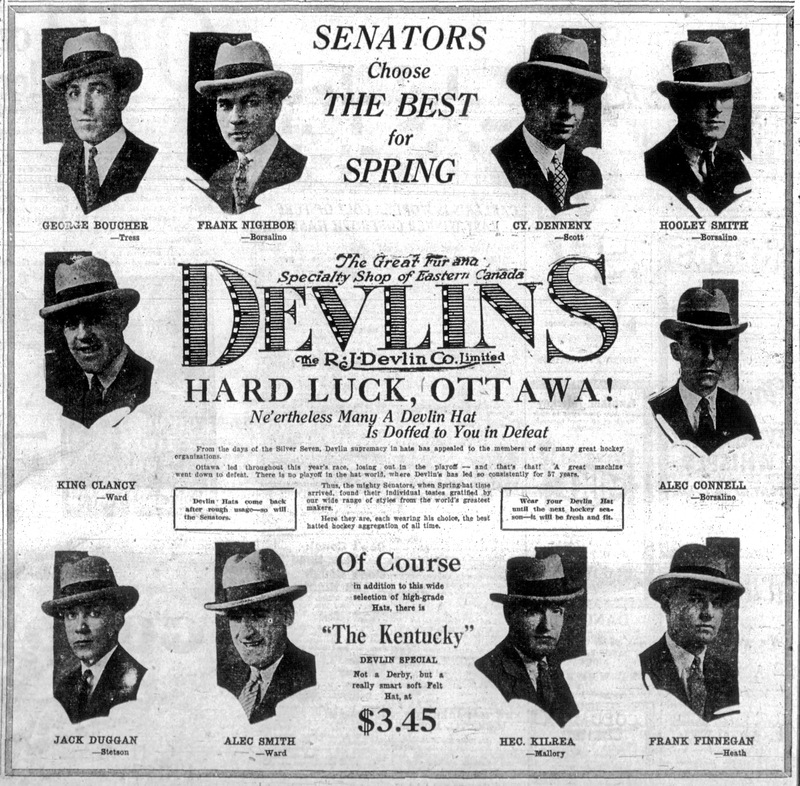 This team picture from that same winter shows the full line-up — along with the man in the hat, lurking in back, with a hatted friend or relation …or co-coach? 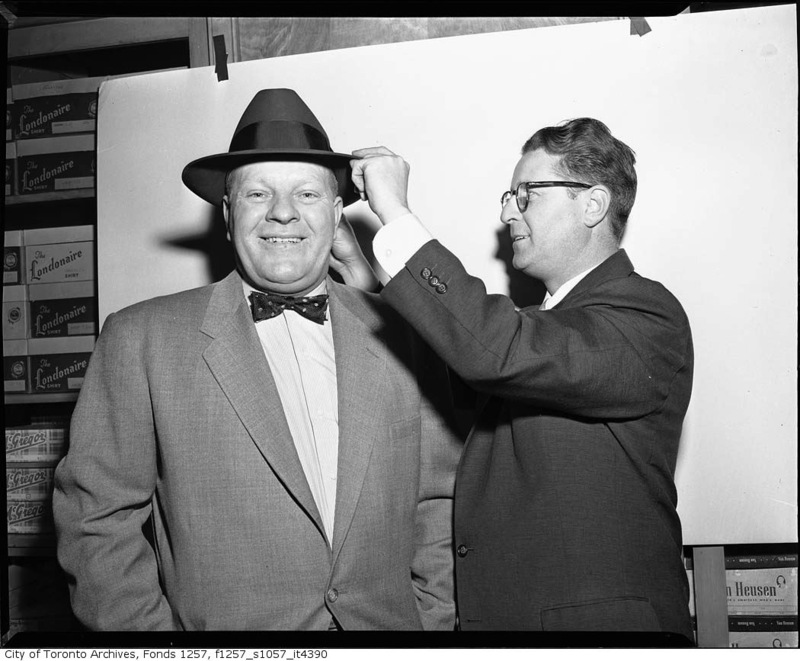 Gordon Sparling directed Hockey Stars’ Summer, a 1951 ASN “Canadian Cameo,” with Andy O’Brien contributing the script. 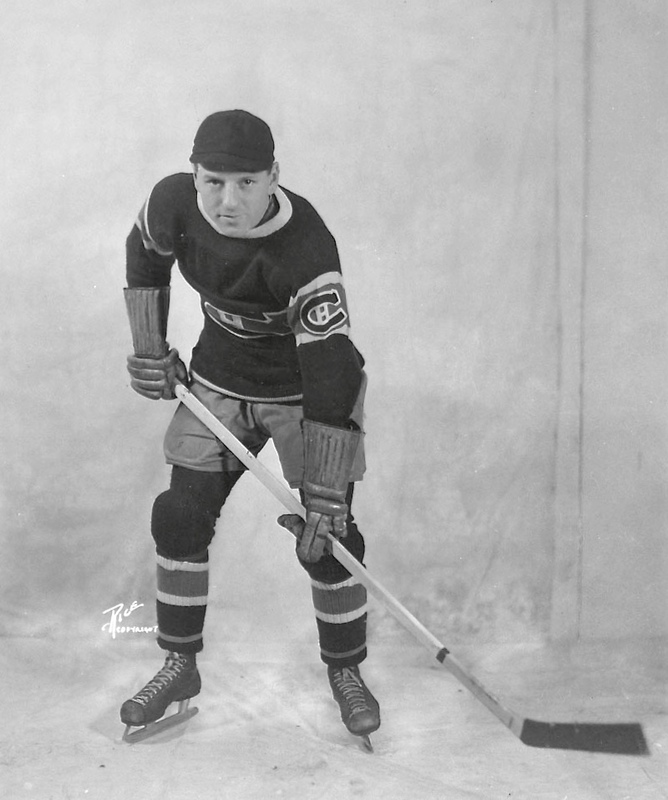 The anniversary last week of the death of Aurèle Joliat might elsewhere have triggered an impassioned rant highlighting the outrage and injustice associated with the little left winger’s absence from the list the NHL published earlier this year of its 100 best all-time players. Not here. 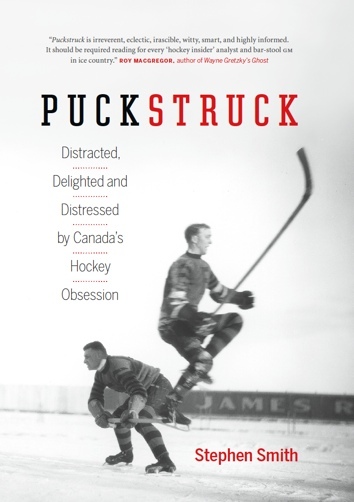 That’s not to dispute that when Joliat died at 84 on June 2, 1986, hockey lost the greatest of its left wingers — official puckstruck.com policy, in fact, agrees that it did. The case for Joliat’s greatness, a solid one, is buttressed by the resumé the man whose name was often anglicized to Aurel built skating (mostly) alongside Howie Morenz: it includes the three Stanley Cups he helped Canadiens win, his Hart Trophy as league MVP in 1934, all those goals, his elevation to the Hockey Hall of Fame in 1947, & etcetera. But we’re not going to get into that here. Today, we’ll focus instead on two other important matters relating to Joliat’s 16-year NHL career: his weight and his hat. It’s not unusual to see the weights of hockey players bandied at length in newspaper accounts from the early decades of the 20th century. Makes sense — in an age before TV, with radio broadcasting still in its infancy, fans who weren’t seeing games live and in person relied on prose descriptions of play and players far more than we do today. Still, even in that context, Joliat’s weight seems to have been oddly, ongoingly, in focus. Not only that: the way it fluctuated in the press seems to suggest that at least one prominent newspaper kept bathroom scales at the Montreal Forum in order to monitor his mass. Up and down went the newspaper scales as the decade moved on. “Weighs only 135 pounds,” said Dunkirk, New York’s Evening Observer in 1933. 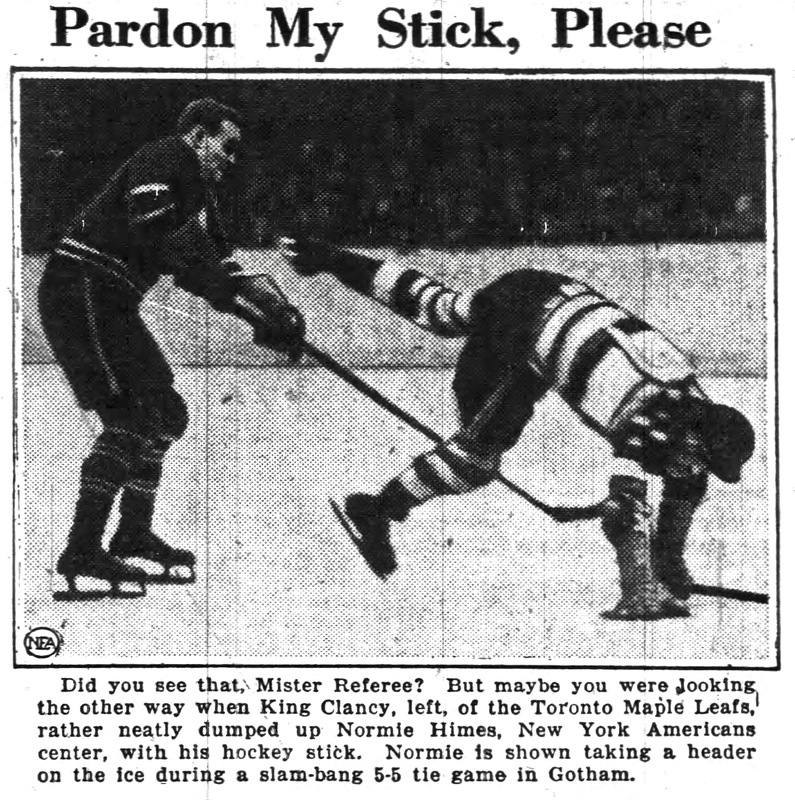 “Probably the smallest player in the circuit at 133 pounds” (Detroit Free Press, 1934). “Weighs only 135 pounds” (Chicago Tribune, 1935). “Weighs only 130 pounds” (NEA, 1938). The Evening News, from Harrisburg, Pennsylvania, weighs in, 1935. He ran a grocery store, eventually, in Montreal’s west end, and thought about opening a night club (but didn’t). After a few years, he’d return to NHL ice as a linesman. Later still, he worked as a ticket agent at Ottawa’s train station. There’s some suggestion that he wore it to cover up a bald-spot, though nothing conclusive: it may just have been habit. Rivals quickly learned how to knock Joliat off his game. “The players of other teams made it a point to aim for that cap,” Harold Burr wrote in The Brooklyn Daily Eagle in 1932. Punch Broadbent, now with the Canadian Flying Corps, reached perfection at the trick. All he had to do was skate close to Joliat, nudge upward with his elbow and the cap would fall to the ice. It didn’t matter if Joliat had possession of the puck. He would always let it go, stoop down and replace his cap. But he has discovered a way this Winter to circumvent his tormenters. He doesn’t wear the cap any more. This was big news across the NHL. “The enemy players stared when Aurel was seen without his black cap,” John Kieran wrote in The New York Times. Jack Carveth of Detroit’s Free Press had a different explanation for Joliat’s stowing of the cap: it was all about curing a scoring slump. I’m not so sure about that, though: Joliat scored Montreal’s only goal in the first game of the season that 1931 November with his hat in place. 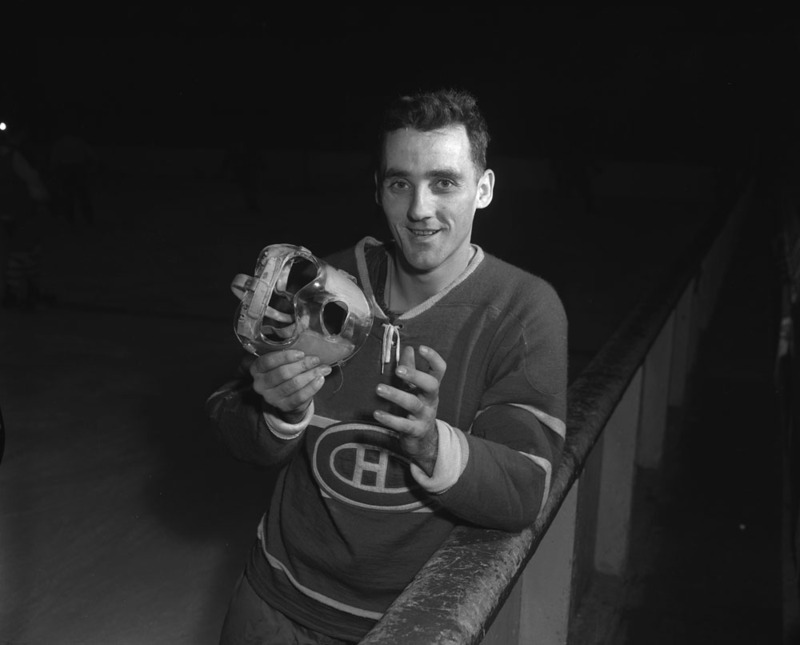 Canadiens then went to Toronto, where Joliat, now bareheaded, again scored the team’s lone goal. He counted three hatless assists in a 5-2 win over the Montreal Maroons, and scored against Boston in his team’s next game, too. I can’t say whether he’d put the cap back on by then or not, just that he did go back to it at some point. 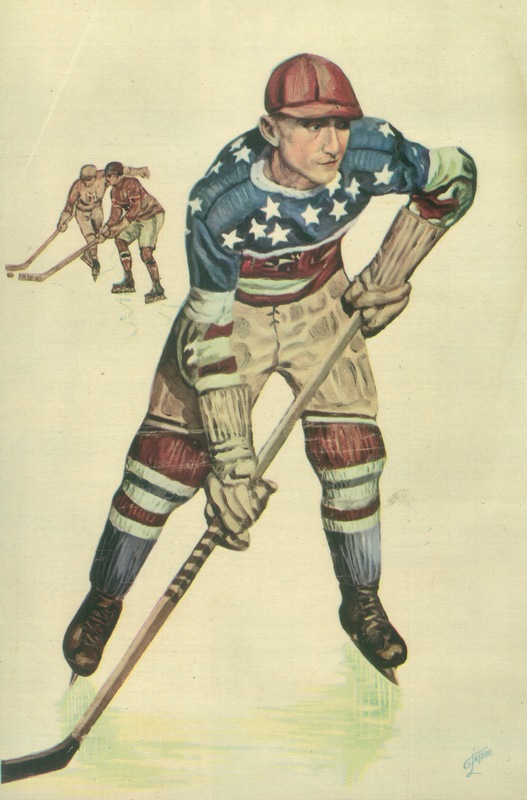 He replaced it with a helmet for a few games in 1937 after hurting his head in a fall, but otherwise the remaining years of his NHL career were hatted. Referee Mike Rodden of Toronto summoned Joliat with a wave of his hand, and the mighty atom, who is playing his 12th season with Canadiens, pulled his black cap over his eyes and skated over to receive a beautiful loving cup presented by his teammates, and a handsome chest of silver and a golf bag, tributes of his many friends and admirers among the fans.